Katie McGovern will do anything to make it as an actress...even if it kills her. 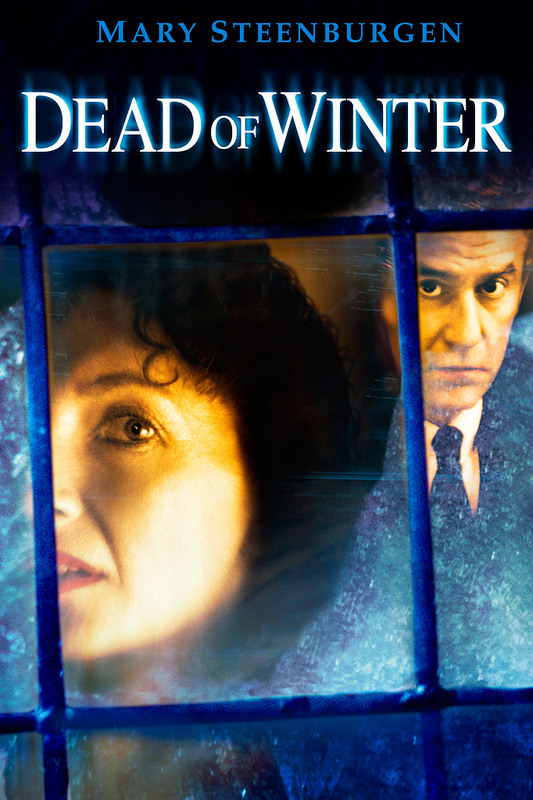 Academy Award® winner Mary Steenburgen (1981 Best Supporting Actress for "Melvin & Howard") and Roddy McDowall ("Fright Night") star in the chilling "Dead Of Winter". When struggling actress Katie (Steenburgen) is offered the opportunity to replace an actress who has suffered an emotional breakdown during a film shoot, she jumps at the chance for the role of a lifetime. Arriving at the filming location – an isolated mansion in upstate New York – and getting to know her two mysterious benefactors, Dr. Lewis (Jan Rubes, "Witness"), and Mr. Murray (McDowall), she begins to suspect there's more to the story...but she can't quite put her finger on it. As the pieces fall into place and the weather outside turns frightful, Katie's quest for stardom becomes a fight for survival in this twisty thriller from director Arthur Penn ("The Miracle Worker").